One of my favorite elements of a wedding invitation is the font chosen. On our Charleston Wedding Invitation suite (above) we used a mix of script and roman font. This style is really nice when you want the script information to really pop on the invitation. 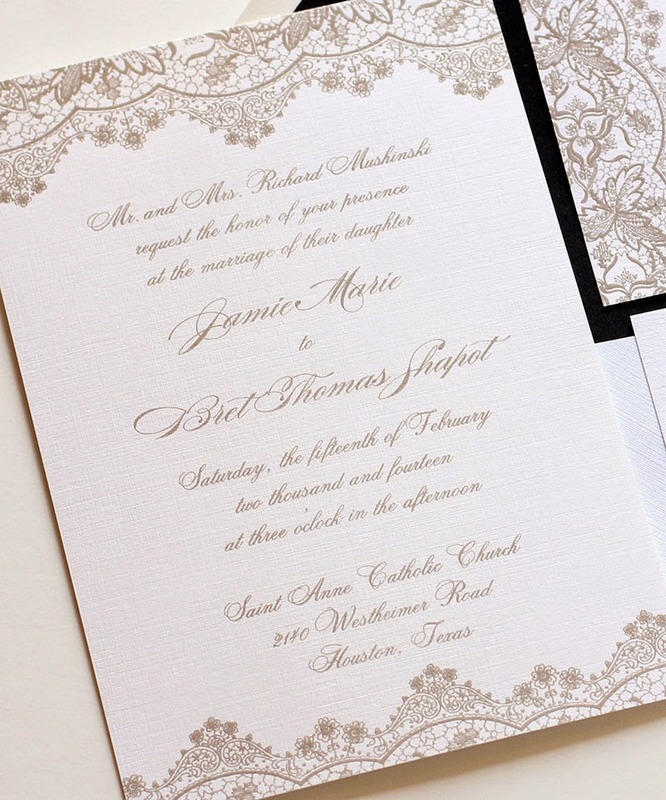 The script used on this chic invitation suite is Burgues font. This is one of my all time favorites for creating a truly romantic feel. 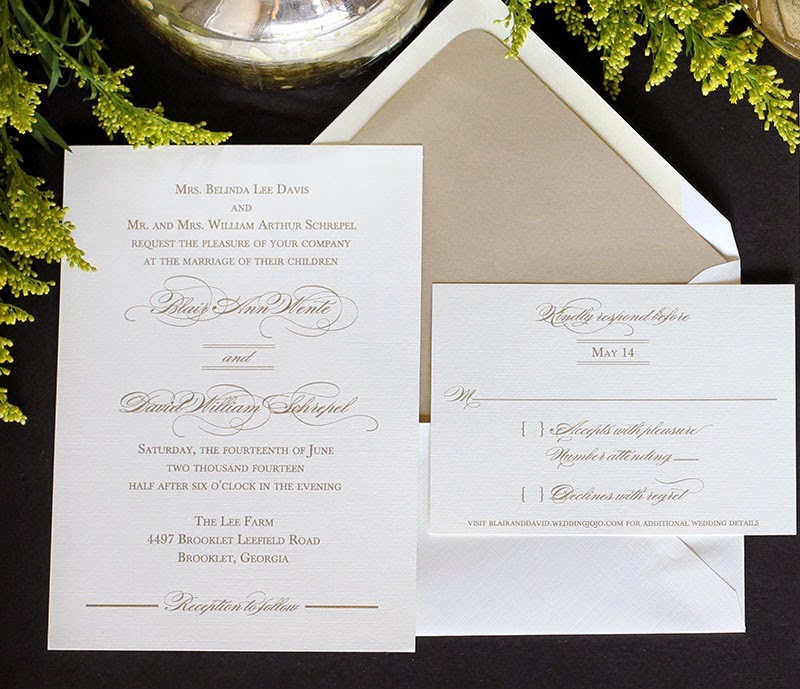 For our Calligraphy Monogram invitation suite, we've used one script font throughout the invitation. The couple's names still pop because they are larger than the rest of the words. 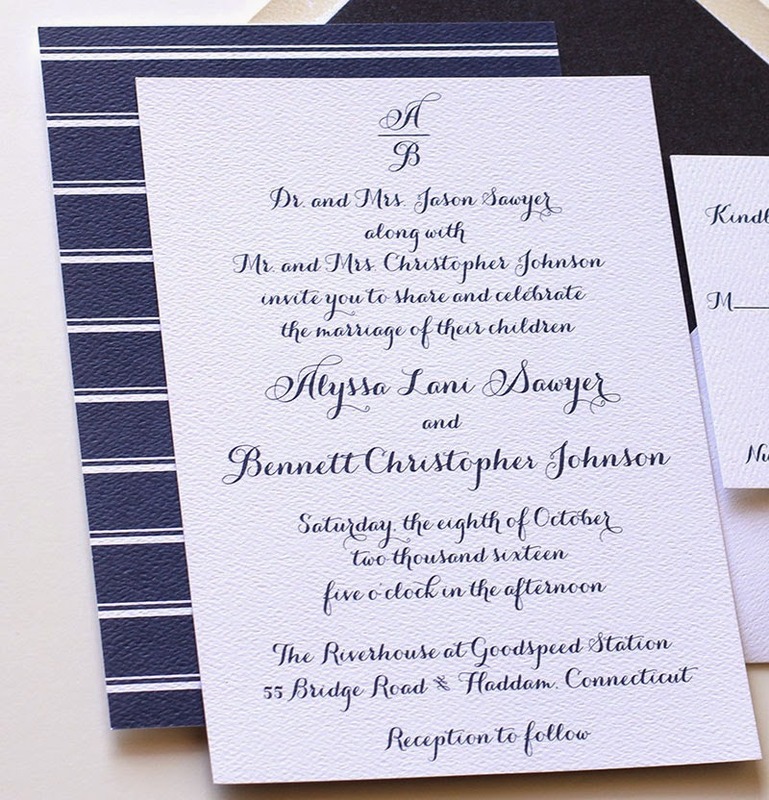 Many modern wedding invitations use all one script font, giving them a fun, fresh feel.